Update 5/12/2017: Scroll to the bottom of the page for an exciting update on the technology and timeline of this project. When you think back to what you accomplished by age 22, you can probably tick off a few things to feel good about: maybe you got into college, or graduated from college, or thought about doing both of those things but could only make it into Hamburger U. 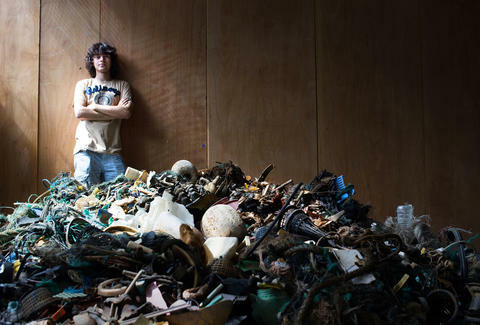 Regardless, you’d be kidding yourself to think you were anywhere near as accomplished as Boyan Slat, who at 22-years-old has invented a groundbreaking system that could ultimately rid the ocean of trash. The Dutch millennial has a startup, The Ocean Cleanup, which recently unveiled its first prototype in the North Atlantic and is on track to unleash a full-scale system in the Pacific Ocean sometime next year. It’s an ambitious project for sure, but definitely worth paying attention to -- if only as a reminder that regardless of who wins the election, our future may not be as screwed up as it seems. If you haven’t heard, the ocean is one big garbage dump. National Geographic estimates it contains some 5.25 trillion pieces of plastic debris -- 269,000 tons of which floats on the surface. Besides what washes up on the coastlines, the bulk of the trash amasses in five massive “garbage patches” located around the world -- two in the Atlantic, two in the Pacific, and one in the Indian Ocean. Eco-saviors have long been trying to clean things up, but by nature of its sheer size, tackling a clean-up beyond the coastline is untenable. By Boyan Slat's estimation, the most traditional large-scale cleanup strategy -- using boats attached to giant nets while trolling the most polluted areas -- would take about 79,000 years and be incredibly costly. Slat’s system, alternately, uses the ocean itself as the workhorse, creating what is essentially an autonomous machine. When installed in open water, it functions as an artificial coastline, "catching" the garbage in a V-shaped enclosure as it's pushed along by the ocean's natural currents. The passive system eventually corrals the hordes of floating debris into a concentrated area where it can be easily collected and moved off to shore. So what happens to all that plastic? As the trash accumulates in the collection areas, it will need to be hauled off every couple months so it doesn't breach the barriers. To streamline this process, the system is equipped with a solar-powered conveyor belt that slowly feeds the garbage into a giant oil rig-esque bin situated within the collection area, which can be easily emptied by a visiting vessel. What will they do with all the nasty plastic they pick up? Sell it, duh. Currently, the entire operation relies on sponsorships and donations to keep it up and running, but the ultimate goal is to monetize by selling the extracted plastics back to manufacturers. Slat first made waves (heh) at age 17, when he devised a crude concept of his ocean-cleaning machine for a school project, later pitching it in a TEDx talk that went viral. Thanks to its success online, he was able to crowdfund over $2 million for the Ocean Project, the foundation he started, which now employs a crew of over 40 people. Last year, the Ocean Project launched the most extensive ocean mapping expedition to date of the Great Pacific Garbage Patch -- the patch they plan to tackle first -- to ensure it's creating a system that will make the most impact possible. And while their digital maps are still being analyzed, early indications suggest there's a crapload more large plastic roiling around out there than was previously believed. In June, the startup also deployed a 100-meter prototype (which goes by the incredible name Boomy McBoomface) from its Netherlands-based HQ into the North Sea, about 14 miles off the coast -- an area subject to some of the most intense and extreme aquatic conditions in the world. They will test the prototype for a full year to see how the barriers stand up to severe storms and make any needed alterations to the design. Then, by late 2017, they plan to launch the “pilot” program in the Pacific, with full-scale cleanup in effect during Donald Trump/Hillary Clinton's first term. There are quite a few naysayers who claim this sort of project simply won’t work as promised. They argue that the system is only designed to pick up larger pieces of floating trash, but won't address the issue of microplastics -- the pesky particles that deteriorate from larger pieces of plastic that've been bouncing around in the ocean for years. And while all that's true, Slat's quick to point out that the Ocean Cleanup's installations are a proactive solution to the microplastics problem -- snatching up the bigger pieces before they have time to deteriorate into small particles. The best part? It will only take 20 years. Although they’ve yet to try the fully functional version, the prototype that engineers have been testing suggests that a 100km-long unit -- which they ultimately intend to install in the Great Pacific Garbage Patch -- can catch almost half of the trash there in just 10 years, effectively cleaning the whole patch in just two decades. 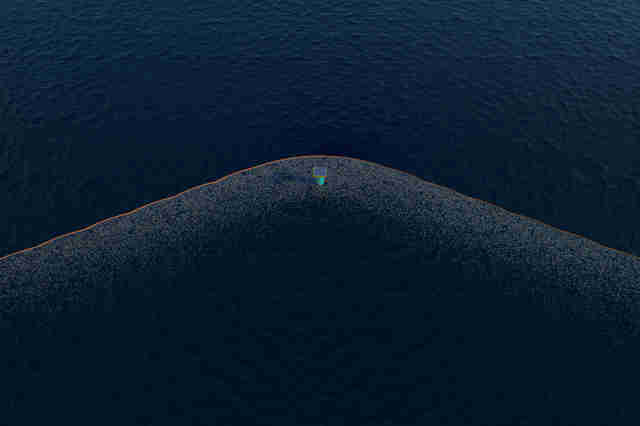 Once the system is rocking and rolling, the Ocean Cleanup plans to tackle the four remaining massive garbage patches. 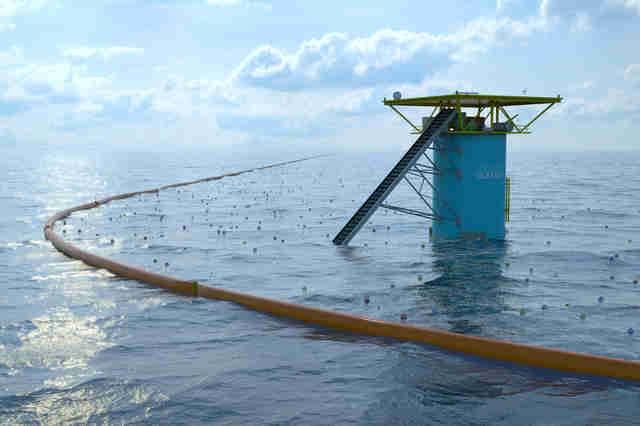 But the other cool thing about the system is that it's modular and can be easily tweaked to intercept trash heaps of any size, from small-scale problem areas near beaches or cities, to 100 kilometer-plus installations thousands of miles off the coast. Ahh, just imagine a perfect beach day without a single plastic bag lying around. The future looks bright indeed. Update 5/12/2017: Slat has just announced that The Ocean Cleanup team has had a "technological breakthrough" that will significantly reduce the original estimated cost of $320 million for their ambitious endeavor. This new plan will involve deploying a series of smaller screens rather than one large 100-kilometer one (the aforementioned artificial coastline), which will move freely with the current rather than be fastened them to the ocean floor. Even better, Slat is convinced this new approach will cut the amount of time it'll take to finish cleaning the Great Pacific Garbage Patch in half -- he now thinks it'll take just five years. The trash hauling is set to begin in early 2018. Joe McGauley is a senior writer for Thrillist and pretty sure Captain Planet would approve of this.